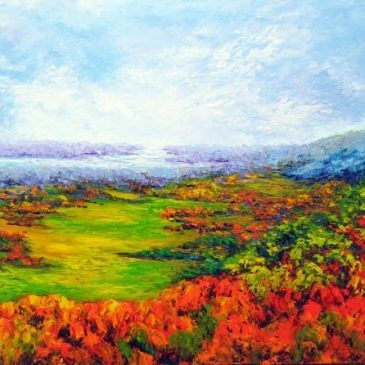 The Viewers’ Choice Award for the Contemplation focus show went to Margaret Chwialkowska for her painting “Champlain Lookout, Gatineau”. Congratulations, Margaret! 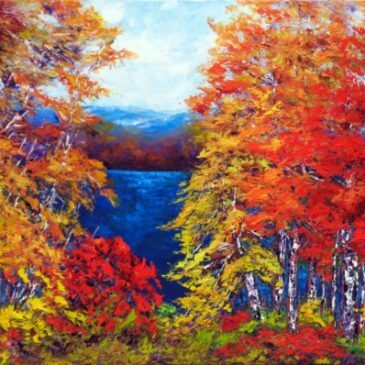 The Viewers’ Choice Award for the Simplicity group show went to Margaret Chwialkowska for her painting “Fall, Ottawa River”. Congratulations, Margaret! The Viewers’ Choice Award for the Celebrate! group show went to Beata Jakubek for her painting “Summertime”. Congratulations, Beata! 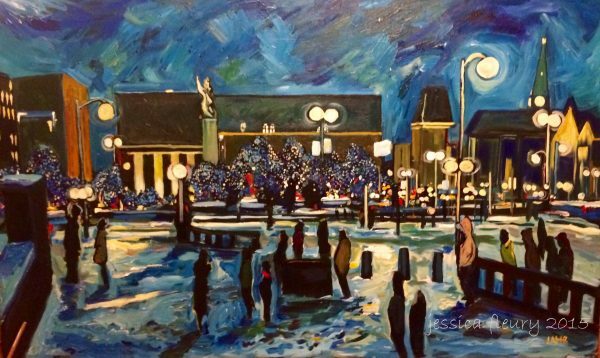 The Viewers’ Choice Award for the Local Perspectives solo show by Jessica Fleury went to her painting Illuminations. Congratulations, Jess for a great show and a record number of sales! The Viewers’ Choice for the Stories in Images show were three photographs, each with the same number of votes, by Roy Whiddon. The photos are: Ensnared, The Waiting, and Part of the Machinery. Congratulations, Roy! 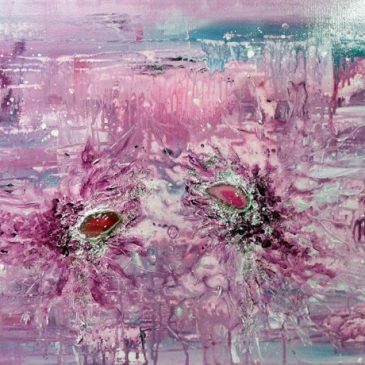 The Viewers’ Choice Award for the Art Mix focus show goes to Erika Farkas for her painting “Purple Dreamland“. Congratulations, Erika! 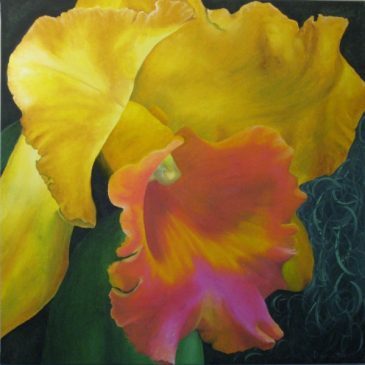 The Viewers’ Choice Award for the Diversions group show goes to Donna Danuta Wiegand for her painting “Flaming Orchid“. Congratulations, Donna! 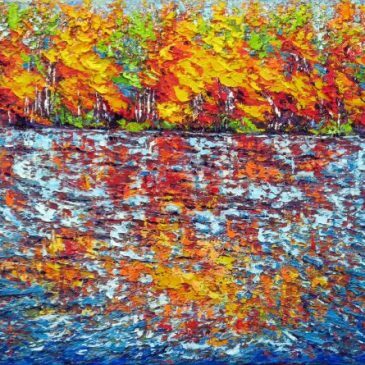 The Viewers’ Choice Award for Landscape Sublime, Margaret Chwialkowska‘s solo show, goes to her painting “End of Summer, Ottawa River“. Congratulations, Margaret!